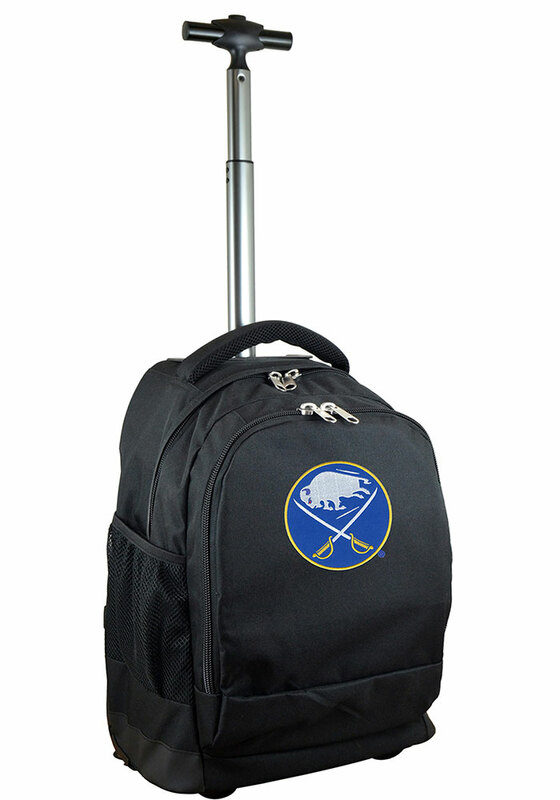 Represent your Sabretooth on the way to the campus library to study for that big exam with this Buffalo Sabres Gifts Wheeled Premium Backpack! It features a team logo on a backpack with wheels, so you'll be able to show your team spirit and carry everything you need to study! Perfect backpack for any occasion. I use it for my carry-on when traveling, so I can show my team spirit everywhere I go.